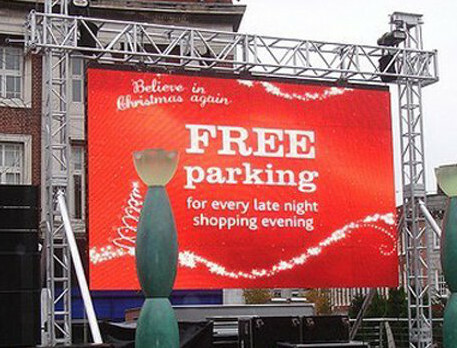 We offer you a variety of outdoor LED curtains suitable for any exterior advertising content that you perceive as important. Our systems can run live streaming, video, textural or dynamic content. All our LED curtains are made from a high quality cloth or plastic and contain a bit-map of LED diodes, which allow you to display your content in many possible ways. The LED curtains are flexible, they can bend and twist and they let wind, smoke and sounds pass through them. We provide the full additional data transfer devices and mounting items for the proper erection or suspension of these flexible LED displays.